The mission of the Department of State is to lead America’s foreign policy through diplomacy, advocacy, and assistance by advancing the interests of the American people, their safety, and economic prosperity. The Department actively seeks to recruit and hire American citizens with diverse educational and cultural backgrounds, perspectives, and problem-solving skills in many fields, including international relations, medicine, IT, engineering, law enforcement, and foreign languages. Careers at the Department of State are challenging and rewarding. For employees serving overseas, benefits include: housing, educational benefits, health care, and department-funded travel for employees and their eligible family members. The Cox-State Department Diplomacy Seminar is a fully funded, three-day professional exploration program to be held in Washington, D.C., October 2-5, 2019. 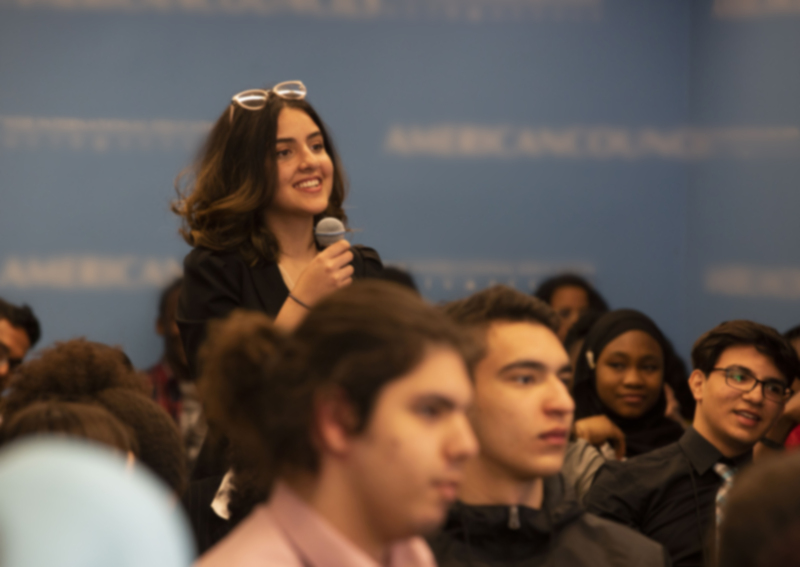 The program is designed to allow current undergraduate students to gain a better understanding of the role of diplomats in promoting diplomacy and to learn about the educational, internship and career opportunities in the Foreign Service and Civil Service at the Department of State. The Seminar will also highlight the work of U.S. Foreign Service Officers, whose job is to promote peace, support prosperity, and protect American citizens while advancing the interests of the U.S. abroad. Participants will expand their knowledge of diplomacy through workshops, visits to organizations involved in international affairs and interaction with Foreign Service Officers and international affairs experts at the Department of State. Applicants are not required to major in International Relations or Global Studies in order to be eligible for the Cox-State Department Diplomacy Seminar, but they should demonstrate an interest in pursuing a career in public service or an international field. The U.S. Department of State hires individuals from diverse educational fields, including STEM fields as well as international relations, government, and public policy. Please note: The Cox-State Department Diplomacy Seminar encourages applications from students from groups historically underrepresented in the Foreign Service and those with demonstrated financial need. The Cox-State Department Diplomacy Seminar will cover tuition, airfare and one free carry-on, shared room and board, and program designated meals, activities, and travel in Washington, D.C. for all program participants. Once accepted, participants are responsible for confirming their attendance and working with the CloseUp Foundation over the summer to coordinate travel and lodging. Please select 1-2 students that could benefit from the Cox-State Department Diplomacy Seminar and provide them with the attached flyer which includes a summary of the program and link to the application. Please note that the first 300 fully eligible applications will be reviewed on a rolling basis. For questions about the program, please contact Nicole Brzozowski at diplomacyseminar@uccoxfoundation.org. The Cox-State Department Diplomacy Fellowship was developed in partnership with the U.S. Department of State, the Una Chapman Cox Foundation, with 37 years of dedication to a strong, professional Foreign Service, and the Close Up Foundation, with 40 years of experience bringing students and teachers to Washington, DC and fostering civic engagement.